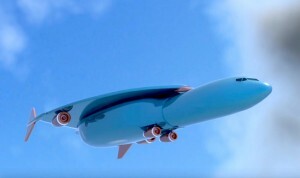 Airbus has officially been granted US patent approval for a new hypersonic passenger plane. The new hypersonic plane is rumored to be called the Concorde 2.0, an ode to the original Concorde that was retired years ago and successfully flew passengers between Europe and the US in less than half the time of other aircraft at supersonic speeds. The Concorde 2.0 will supposedly go four-and-a-half times the speed of sound—compared to just two times the speed of sound for Concorde. Essentially, this means a flight to the United States would only take about an hour. “Airbus Group and its divisions apply for hundreds of patents every year in order to protect intellectual property,” an Airbus spokesperson said about the patent filing. It will be a while before a supersonic or hypersonic flight to America becomes a reality.